This is a summary of a webinar on creativity. The webinar was based on the six thinking hats developed by Edward De Bono. In this post is a list of creativity blogs I follow on a regular basis. Use the Genius Scan app to scan from anywhere and share the files as images or PDFs to the cloud or others. With an end-goal of writing 365,000 words in 2016, my daily goal is to write 1,000 words per day. I exceeded this goal every day this week, setting a new record of 1,840 words on January 27. Although writing blog posts is one of my four categories of writing - the others are journal, devotional, and e-book - I have decided to post less frequently rather than daily. This simply means I will need to write more words per day in the other categories if I don't write a blog post. I also hope to write longer posts, perhaps splitting up the writing over multiple days. At 1,000 words per day, the target for January was 31,000, which I exceeded on January 27. 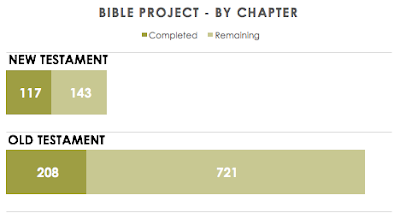 As I wrote last week, I am still trying to incorporate action on the Bible writing project into my daily routine. I completed three chapters this week. Currently I am working on chapter 22 of Joshua, almost to the end of the book. It doesn't seem possible that I have already been writing consistently for a month. January seemed like it went by quickly. I am happy to have reached the first month milestone.